Can a GOP newcomer unseat the Democrat's most conservative senator? Sen. Ben Nelson, D-Neb. 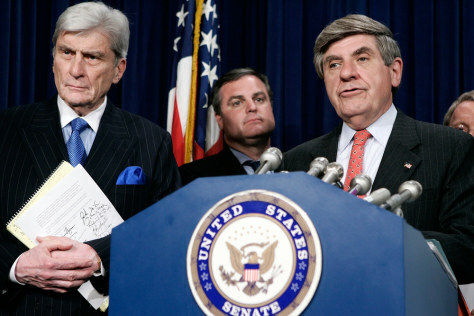 (right) alongside Sen. John Warner, R-VA.